Over a four-week period from July to August, an elderly Evesham couple was scammed of nearly $72,000 as a result of telemarketing fraud, according to Evesham Police. Police said the scammer, an unknown male, first called the couple claiming to be an employee of Microsoft and then asked the couple if they had recently purchased a computer. The couple told the scammer they had, and the scammer then informed them they could receive a $200 refund, as Microsoft would no longer support software on the computer they had recently purchased. The scammer also claimed the couple was entitled to another $100 because they were senior citizens. To receive the refund, one of the couple provided the scammer with the couple’s checking account and routing numbers, according to police. When the couple looked at their bank account several hours later, they discovered that thousands of dollars had been deposited into their account instead of just the original several hundred dollars the scammer told them they were entitled to. The couple called the scammer back immediately and informed him there had been a mistake. The scammer then asked the couple to return to him the extra thousands of dollars, minus the amount of the originally offered refund. Police said the couple then used Western Union and PayPal accounts over the course of the following weeks to return the thousands of dollars to the scammer, but in every instance, the scammer would eventually call the couple to say that he had not received any money. 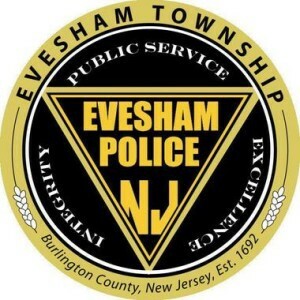 According to Evesham Police Lt. Joseph Friel, the $72,000 was the largest amount he could remember being stolen from Evesham residents in a telemarketing scam. Friel also said with telemarketing scams such as this, the chances of recovering the victims’ money are low, especially if the investigation leads overseas, which most usually do. “Most of time, a victim’s best chance of recovery of their loss would be through the fraud department or the insurance through their bank,” Friel said. The Evesham Police Department receives several reports of phone scams a week, according to Friel, and scams where money is first deposited into victims’ accounts before a larger amount is stolen is not unheard of. • “You’ve won a ‘free’ gift, vacation, or prize.” But you have to pay for “postage and handling” or other charges. • “You must send money, give a credit card or bank account number, or have a check picked up by courier.” You may hear this before you have had a chance to consider the offer carefully. • “You don’t need to check out the company with anyone.” The callers say you do not need to speak to anyone including your family, lawyer, accountant, local Better Business Bureau or consumer protection agency. Police advise the public to respond with a simple “no thank you” and hang up the phone if they hear similar phrases from callers. Evesham police also direct those looking for more information regarding common phone and mail scams visit www.fbi.gov/scams-safety/fraud.